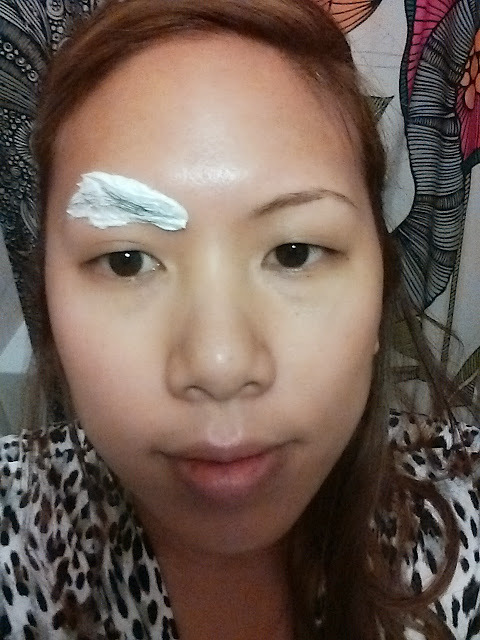 With my new lightened hair, I wanted to share a very important beauty step that I never leave out - bleaching my brows! Now I know it sounds crazy, but it's more of a lightening brow process that makes my brows match my hair better and allows me to fill them in without them looking too dark. Check it out! I honestly don't have a bleach favorite - typically i'll pick up something from the drugstore near the hair removal/shaving area. Stick to bleach for the face to make sure it's gentle enough for you rskin. I went with the Sally Hansen Creme Hair Bleach. 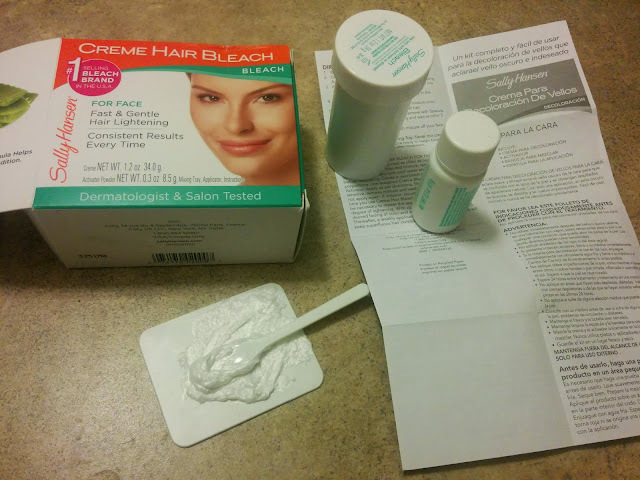 2) Mix the bleach and activator together...I use one part activator and 2 parts bleach...I only use a little since i'm just covering the brows. I mix it on the square plastic using the spatula that comes with the kit. 4) The instructions say to leave on for 8 minutes. For my hair, that will lighten it just enough because my hair is already dark. If you have lighter hair, you might want to spot check every few minutes so that you don't overlighten. I've accidentally left the bleach on too long and ended up with blond brows. In this picture I have the bleach on the left. On the right is my brow that had been lightened over a month ago. It was starting to darken. Here's after 8 minutes (I set my phone timer). My brows are definitely lightened and match the hair on my head. As you can see, they're not bleached blond, instead it's more of a brown. 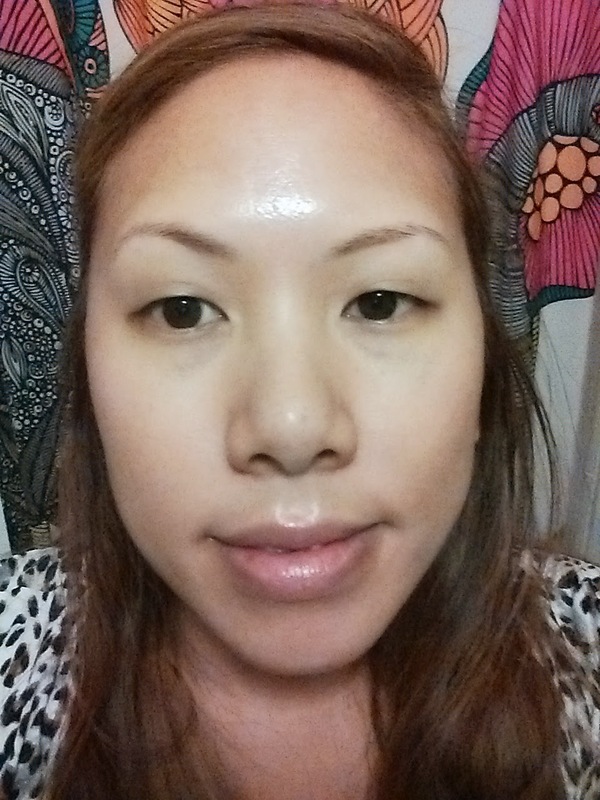 They even look more sparse but this is a good thing when I fill in my brows so they won't appear too harsh. Here's a shot of me after filling in my brows with Tarte Brow Pencil in Medium Brown. I wouldn't have been able to achieve this light brow look without bleaching them. 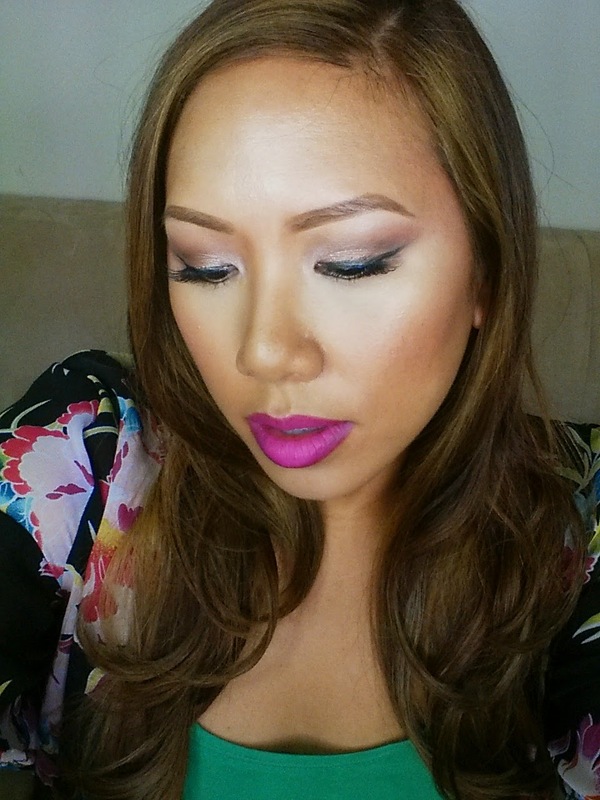 I love how your whole face seems to brighten and lighten up when your brows are lighter. I have a tutorial on this look coming soon! Have you ever tried to bleach your brows? Let me know what your experiences in the comments below!